The resurected famous old brand of Kinahans whiskey. 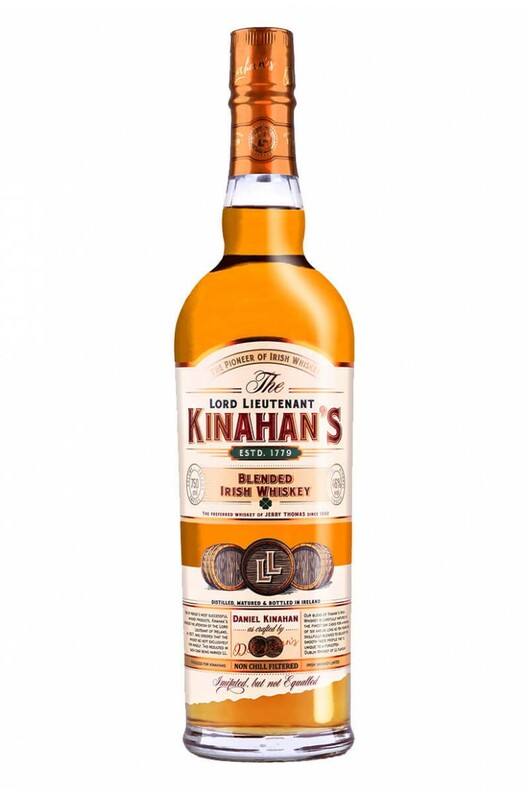 Kinahan’s whiskey was founded by Daniel Kinahan in 1779. Generations of the Kinahan family ensured it became renowned for its unique taste and character. In 1807, Charles Lennox, the Lord Lieutenant of Ireland, was so impressed with this whiskey that he ordered all barrels at the Kinahan family cellars be kept exclusively for his private use, marking each cask with “L.L.” This mark still adorns each and every bottle. Types of Barrel used for Aging American oak. The resurected famous old brand of Kinahans whiskey. Kinahan’s whiskey was founded by Daniel K..